**Deposits are nonrefundable! Although, you may switch to a later litter for better timing. **Picking order comes from the order of deposits received! 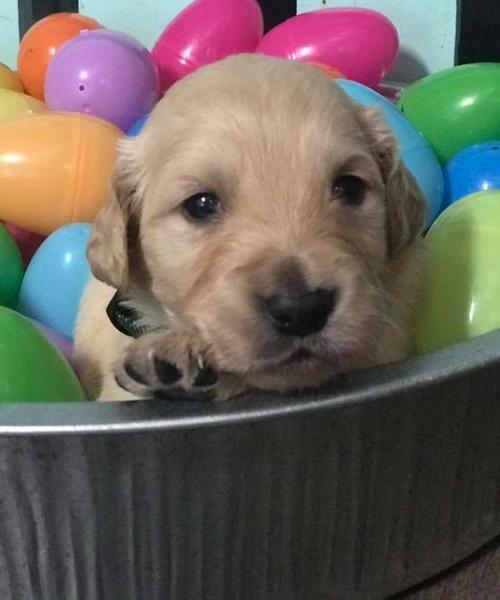 So if you want to be sure to get the pick of the litter I suggest paying a deposit early on. My website is updated daily once a deposit is received! And I have several litters listed that will be bred in the future if one that is available now doesn't fit your timing. 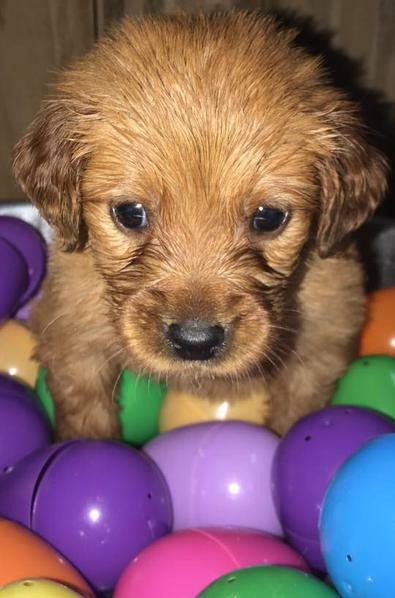 **If you're flying a pup, I will need you to choose your pup by the 7 wk old mark, so I can have time to get the pup to the vet for his/her flight health certificate. Preparation for your pup to fly has to be planned accordingly. 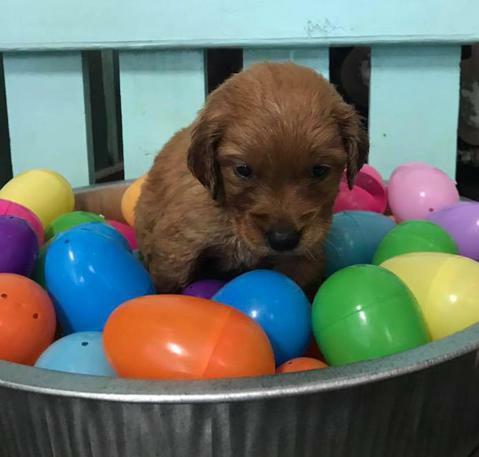 suggestions of each pup's personality based on the litter observations. **I put colored collars on pups around 4 weeks old. This enables them time to grow into a walking stage so they don't get their feet/arms hung in their collars. 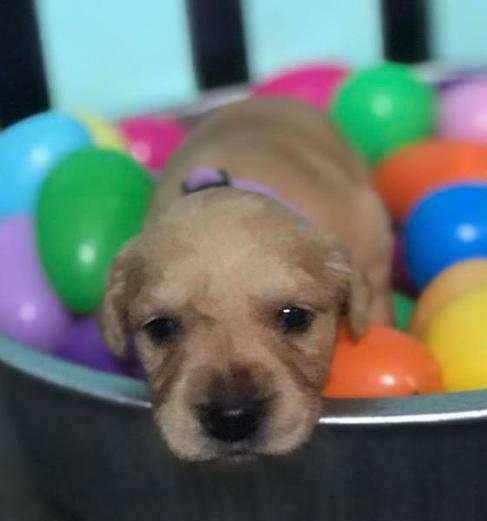 **If you are wanting to visit pups I suggest the 4/5 week old period. They have started to walk by then, and starting to play. Before then, it's just nursery time with mama real close! If you visit before then, it will be a look in the nursery. I have to protect them from germs and won't allow handling of the pups before 4 wks. Thank you for respecting my decisions on protecting our fur babies! 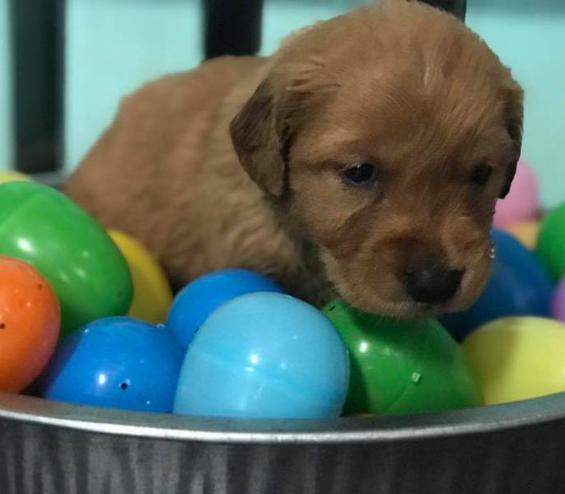 Goldie and Boomer pups were born April 16th, 2019. 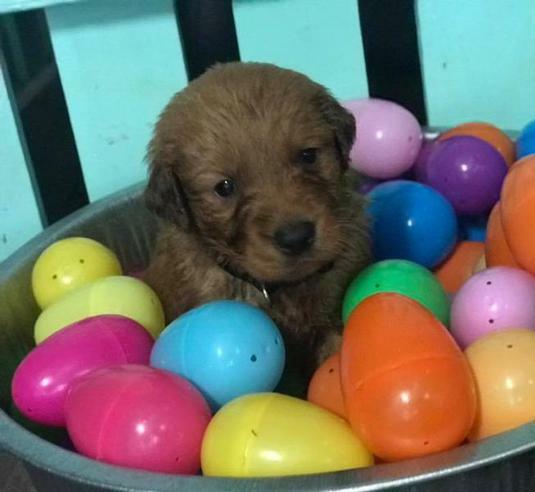 Pups will go home around June 7-11! 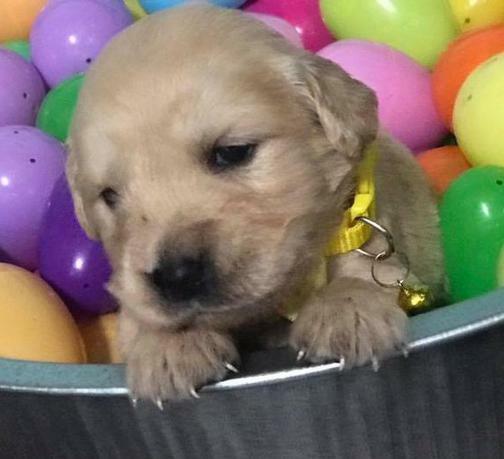 Their pups will be golden to dark golden in color and anticipated to fulfill any of your dreams of a pet/hunter. 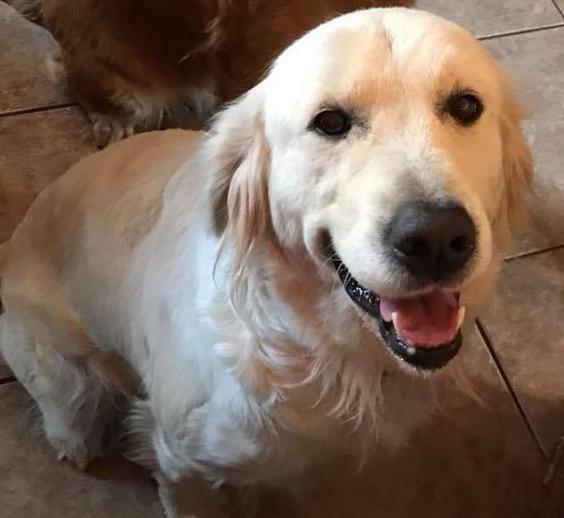 Boomer is a loving/gentle guy that has a kindness about him that is golden. 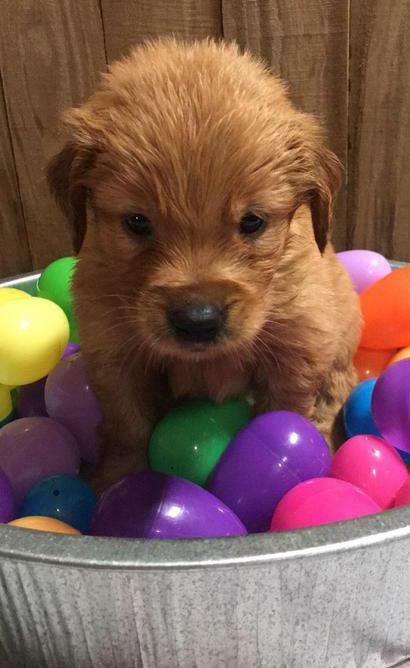 He is an excellent product of a Field Golden lines. 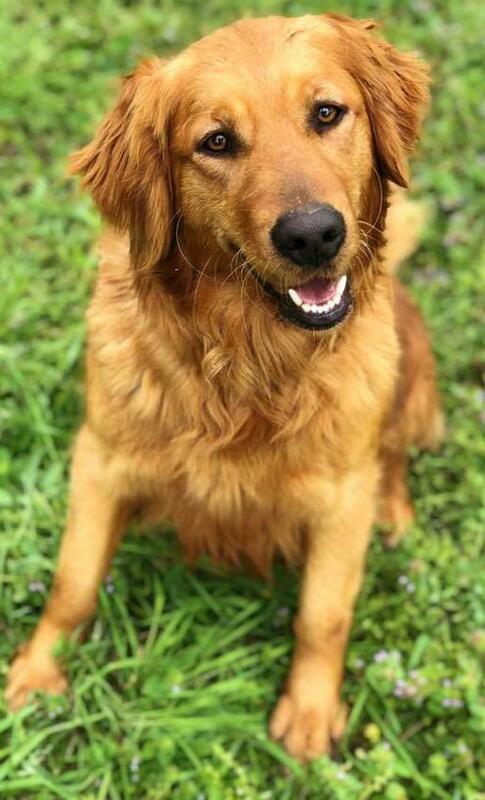 His pedigree is jam packed with goldens that are Field goldens/MH and Golden Retriever Hall of Fame dogs. His dad was a Master Hunter recipient, and qualified in field trials as well. His mom is a hunter herself. He is at the trainer working on his own Hunting Titles. He does have all of his OFA clearances. 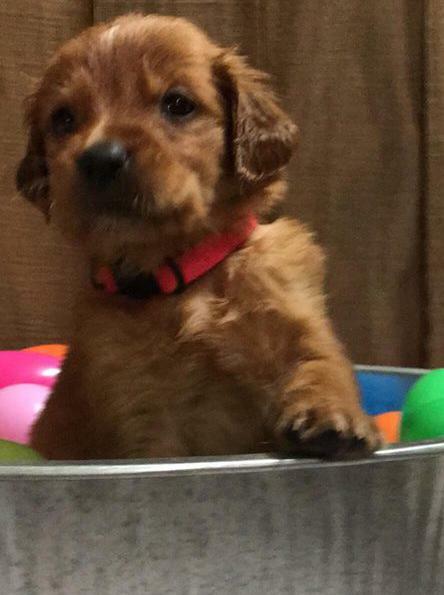 Goldie is a pup I kept out of my Lucy/Henry. She comes from a long line of Championship lines also. She does have her own JH/SHR titles. She is a beautiful girl that stays inside with her family. She is extremely tall and gorgeous. She is a loving girl with an exceptional loving demeanor. She does have her OFA clearances as well. 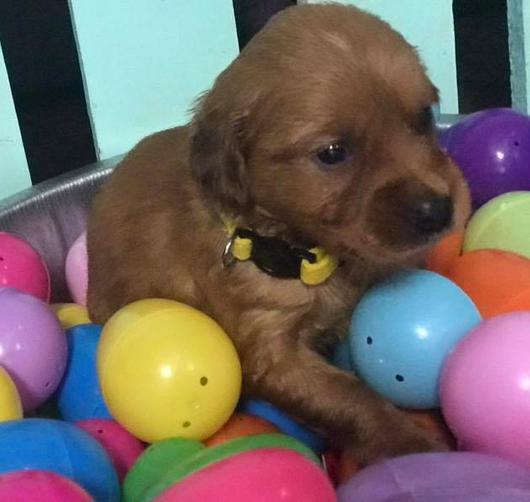 We expect very trainable pups to hunt, or just to please any family with an intelligent pet. If you're looking to get on their list by paying a deposit, let me know! Deposits are $300 and the remaining balance ($900) is due at or before pick-up! Pups will have dewclaws removed and come utd on all wormings and their 6 wk shots! Pups will be sold AKC limited registration! 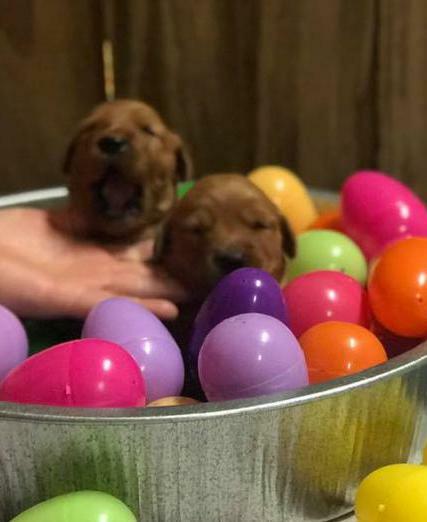 Boomer and Jersey's pups were born March 22nd. They will go home May 11th wkd to new homes. 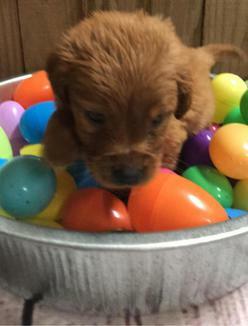 Their pups will be golden to dark golden and anticipated to fulfill any of your dreams of a pet/hunter. Jersey is the daughter of Sophie and Henry. She is a very gentle loving and mild mannered girl. She loves routine and her family. She comes nothing but championship pedigree, long life longevity, and all of her lineage have their OFA clearances. 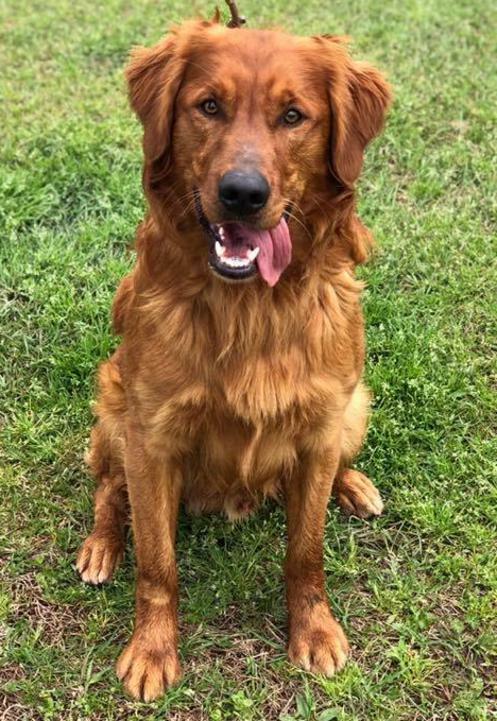 Boomer has a drive out of this world, he loves to be all spoiled right by you, but also loves to train and show his workability. He is a very loyal boy. 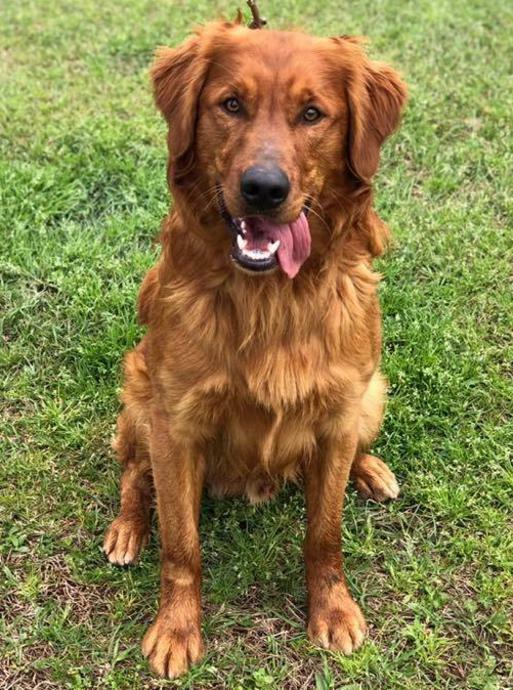 He is an excellent product of a Field Golden lines. 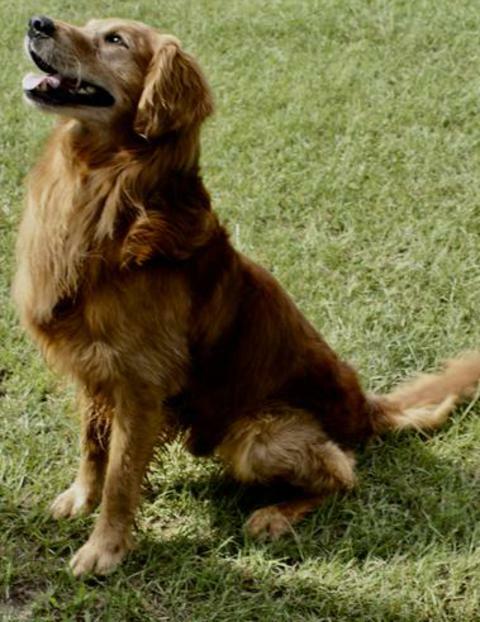 His pedigree is jam packed with goldens that are Field goldens/MH and Golden Retriever Hall of Fame dogs. His dad was a Master Hunter and his mom a Hunter as well. He has all of his OFA clearances. Gypsy does have her eye & heart clearance already also. 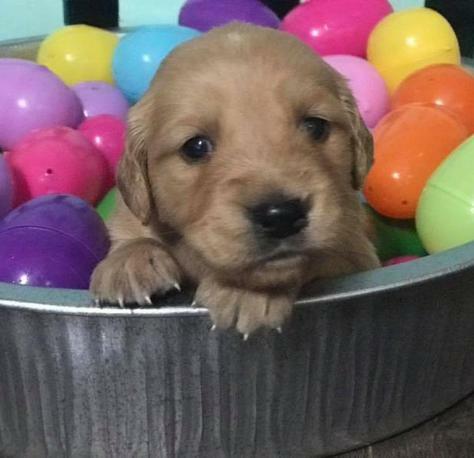 Their pups will be very capable of whatever your wanting in a golden. If you're looking to get on their list by paying a deposit, let me know! Deposits are $300 and the remaining balance ($900) is due at or before pick-up! Pups will have dewclaws removed and come utd on all wormings and their 6 wk shots! Pups will be sold AKC limited registration! 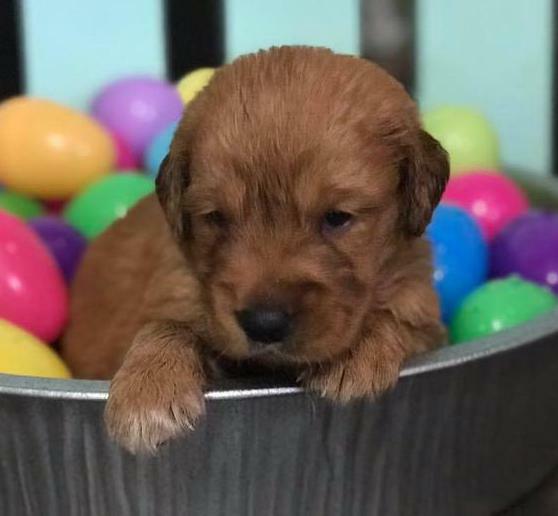 Josie and Henry's pups were born March 27th. Their pups will go home close to May 18th wkd. 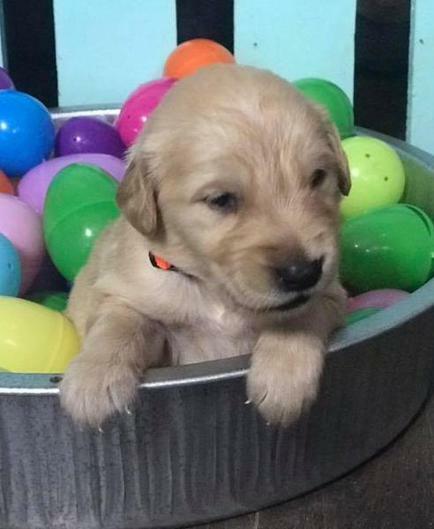 Their pups will be light golden to golden and anticipated to fulfill any of your dreams of a pet/hunter. Henry is one of a kind to us. He hunts everything, and is a loyal boy that is quirky with a sense of attitude that is so enjoyable. He has an exceptional attitude of working. 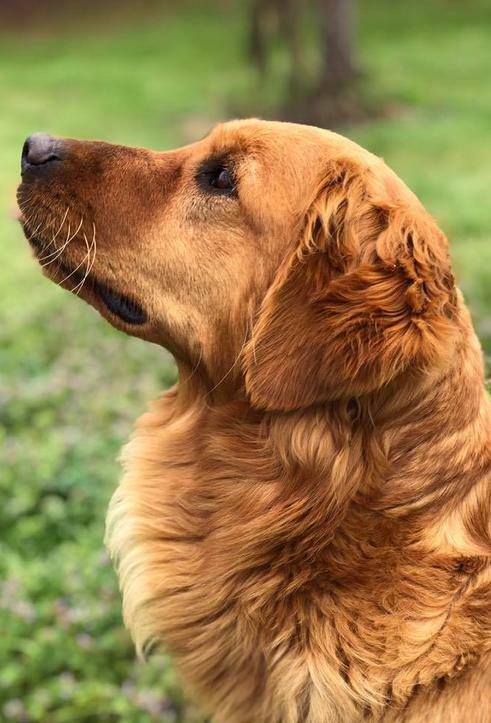 He is an excellent product of a Field Golden lines. 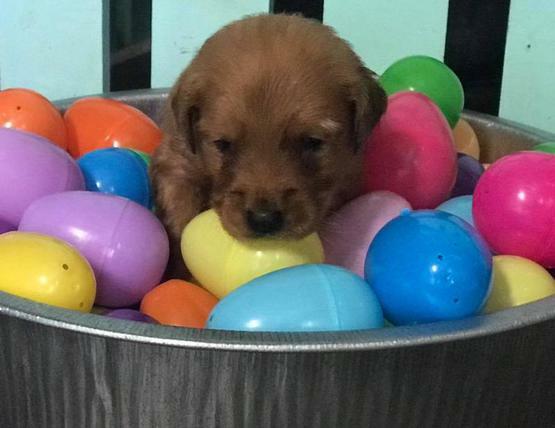 His pedigree is jam packed with goldens that are Field goldens/MH and Golden Retriever Hall of Fame dogs. His dad was a Master Hunter and his mom a Senior Hunter as well. Henry does have is own SHR, JH, and HR title already. He has all of his OFA clearances. Josie is a very good girl. She is such a loving and gentle girl that she is absolutely the BEST girl. 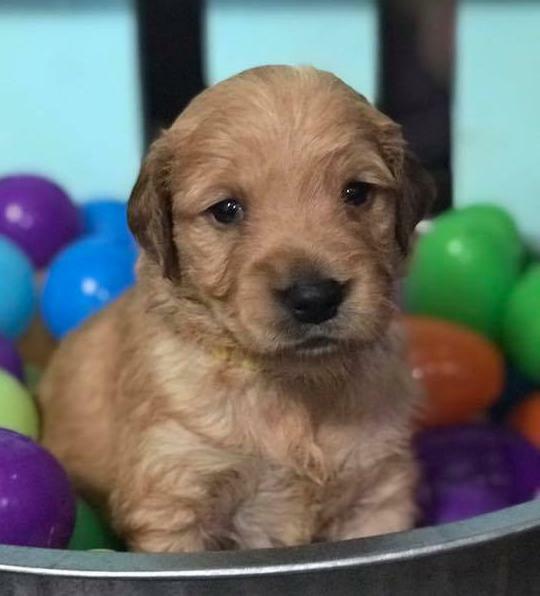 She comes from show stock, and are beautiful long coated Goldens. They make beautiful pups and are absolutely the BEST. She does have all of her OFA clearances as well. If you're looking to get on their list by paying a deposit, let me know! Deposits are $300 and the remaining balance ($900) is due at or before pick-up! Pups will have dewclaws removed and come utd on all wormings and their 6 wk shots! 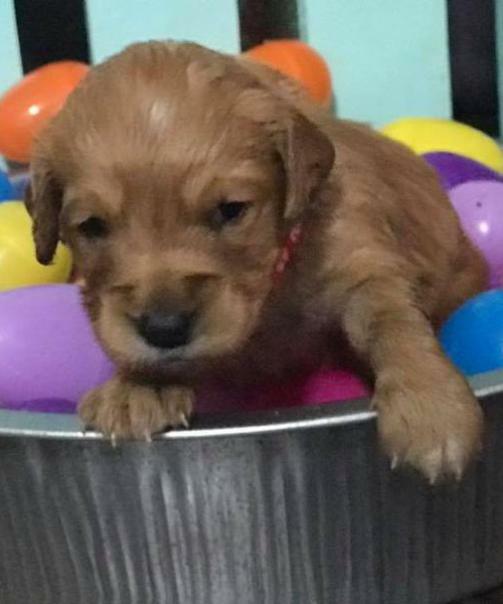 Sophie and Henry's pups were born April 6th.. 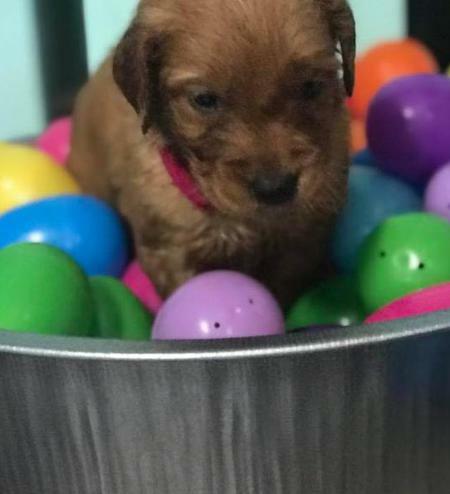 This is the final breeding of Sophie. She will be spayed after the pups are born. 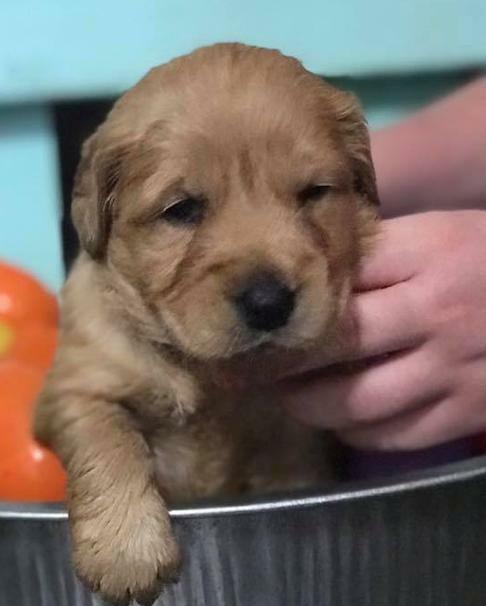 Their pups will be golden to dark golden and anticipated to fulfill any of your dreams of a pet/hunter. Henry is one of a kind to us. He hunts everything, and is a loyal boy that is quirky with a sense of attitude that is so enjoyable. He has an exceptional attitude of working. 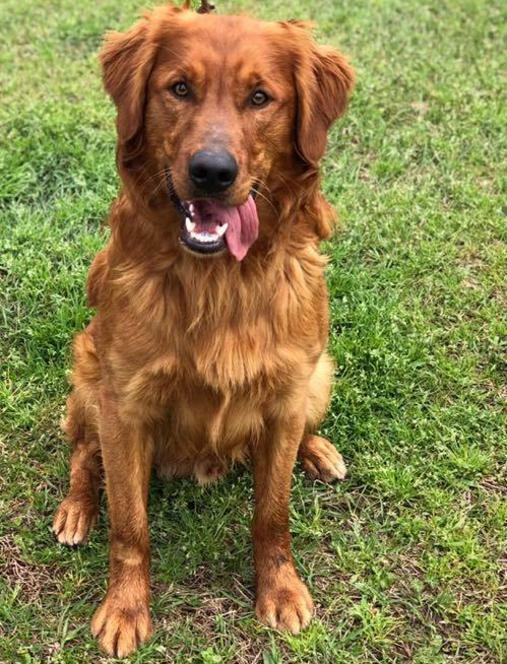 He is an excellent product of a Field Golden lines. 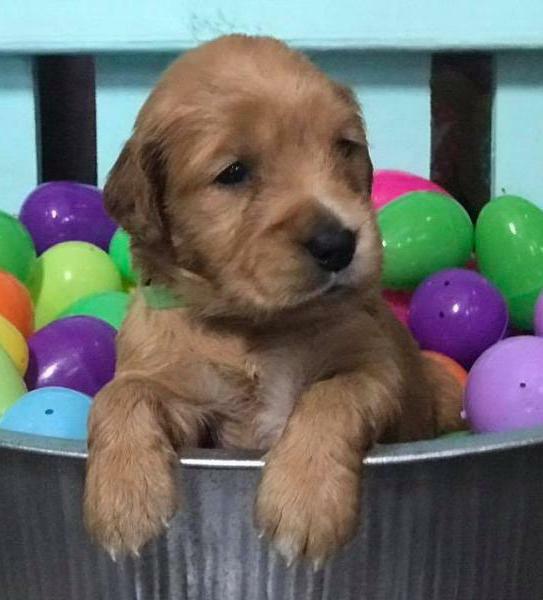 His pedigree is jam packed with goldens that are Field goldens/MH and Golden Retriever Hall of Fame dogs. His dad was a Master Hunter and his mom a Senior Hunter as well. Henry does have is own SHR, JH, and HR title already. He has all of his OFA clearances. Sophie is the BEST girl. 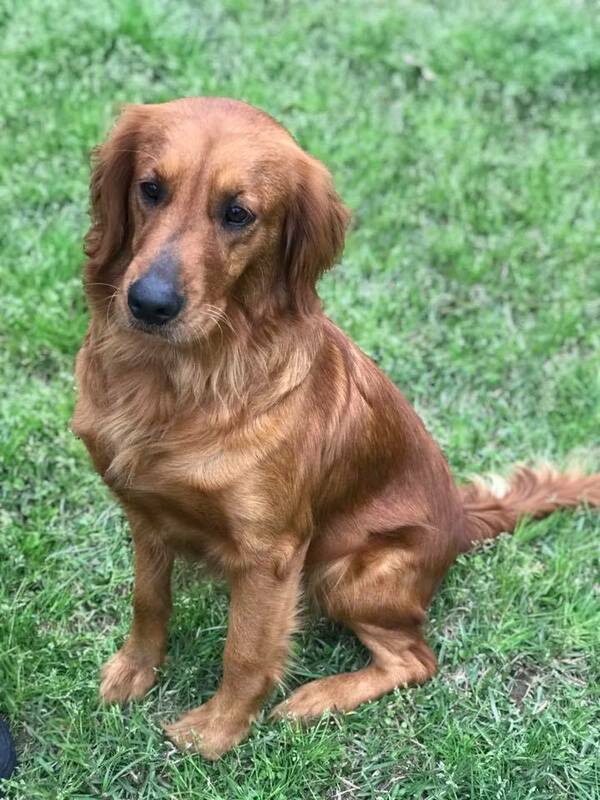 She is such a loving, obedient, and gentle girl that has the BEST golden attitude. She comes from hunting stock, and her dad is The Rosehill Connection. He currently holds the title of being one of the TOP 10 obedient dogs that attended the West Minister Show. She has a beautiful coat and makes beautiful and intelligent pups. They make beautiful pups and are absolutely the BEST. She does have all of her OFA clearances as well. If you're looking to get on their list by paying a deposit, let me know! Deposits are $300 and the remaining balance ($900) is due at or before pick-up! Pups will have dewclaws removed and come utd on all wormings and their 6 wk shots! Pups will be sold AKC limited registration! 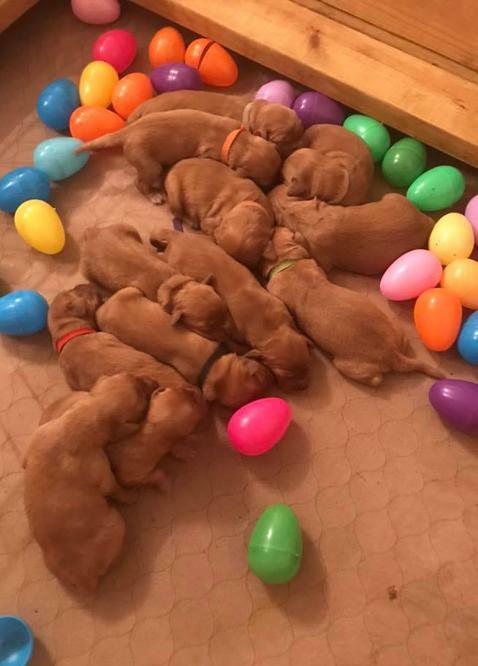 Abbey and Henry's pups were born 3-25-19. This is the final breeding of Abbey. She will be retired after the pups are born. 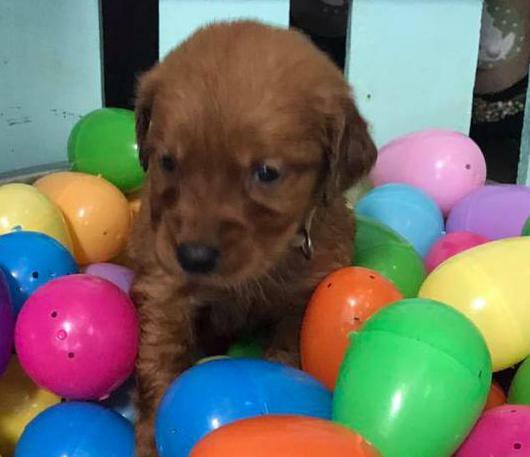 Pups will go home in the middle of May. 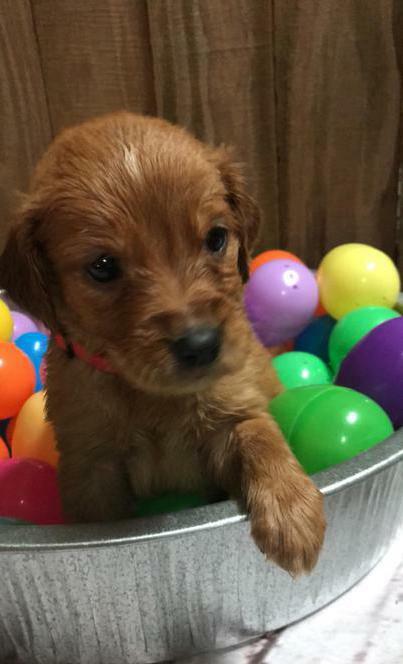 Their pups will be golden to dark golden and anticipated to fulfill any of your dreams of a pet/hunter. Henry is one of a kind to us. He hunts everything, and is a loyal boy that is quirky with a sense of attitude that is so enjoyable. He has an exceptional attitude of working. 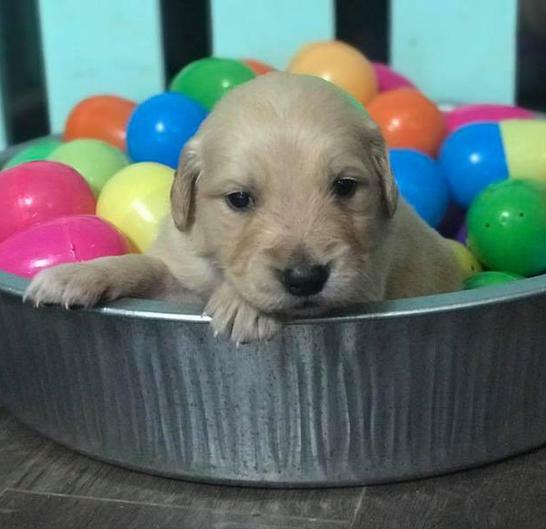 He is an excellent product of a Field Golden lines. 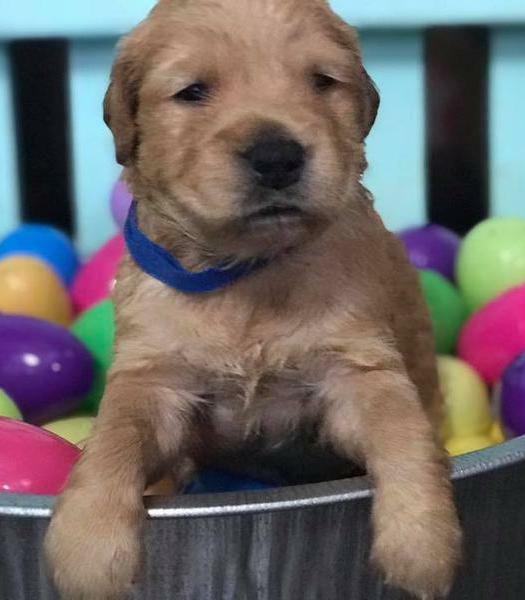 His pedigree is jam packed with goldens that are Field goldens/MH and Golden Retriever Hall of Fame dogs. His dad was a Master Hunter and his mom a Senior Hunter as well. Henry does have is own SHR, JH, and HR title already. He has all of his OFA clearances. Abbey is the BEST girl. 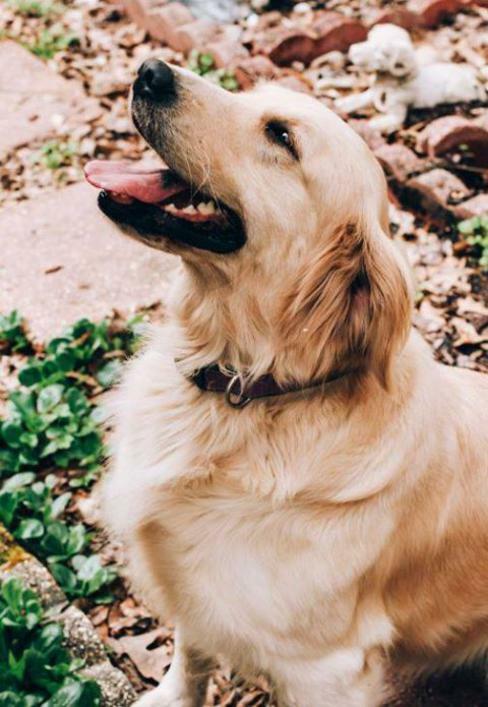 She is such a loving, obedient, and gentle girl that has the BEST golden attitude. 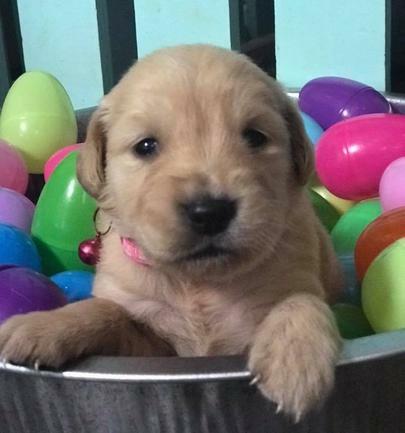 She comes from hunting stock, and her granddad is Mr. RoseHill Speaker who is in the Golden Retriever Hall of Fame. 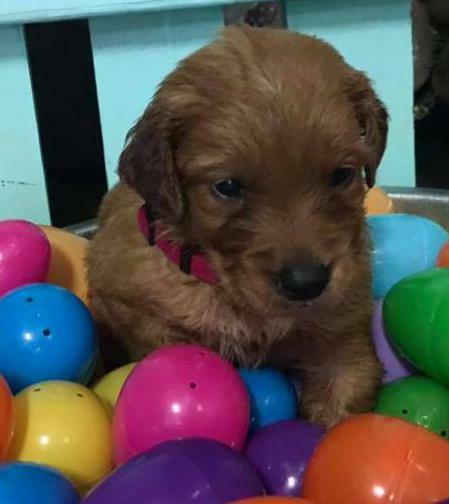 She has a dense coat, is small frame built, and makes beautiful and intelligent pups. (Annie is an example of their pups-she is their daughter)! She earned her own AKC and UKC Hunt Titles. She does have all of her OFA clearances as well. If you're looking to get on their list by paying a deposit, let me know! Deposits are $300 and the remaining balance ($900) is due at or before pick-up! Pups will have dewclaws removed and come utd on all wormings and their 6 wk shots! Boomer and Gypsy pups are born. B-date 3-12-19. 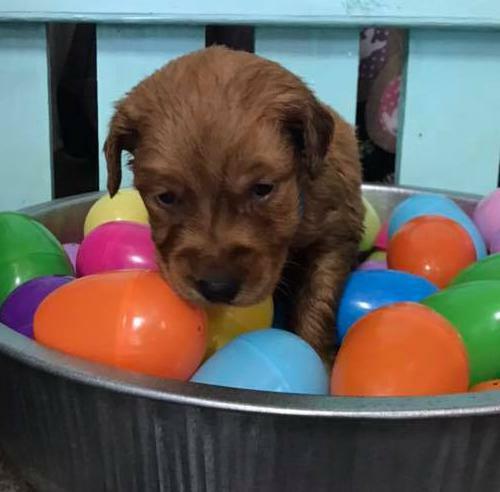 Pups will go home the first wkd of May. Deposits are $300 and the remaining balance ($900) is due at or before pick-up! Pups will have dewclaws removed and come utd on all wormings and their 6 wk shots! Pups are eating Purina Pro Plan Chicken Flavor Pup food! 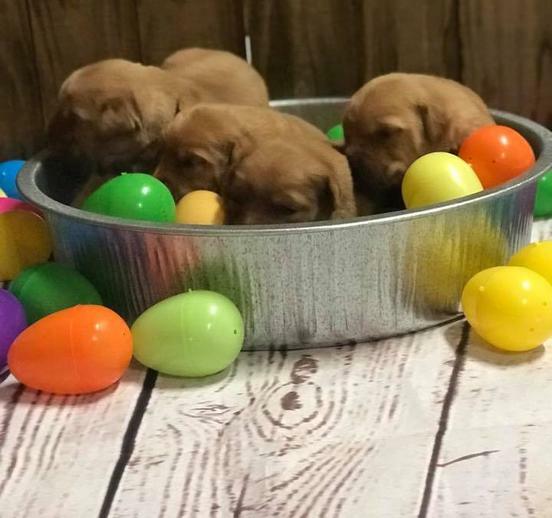 Final payment is preferred cash unless you plan on paying through Venmo..
Juliet and Henry's pups were born April 20th. 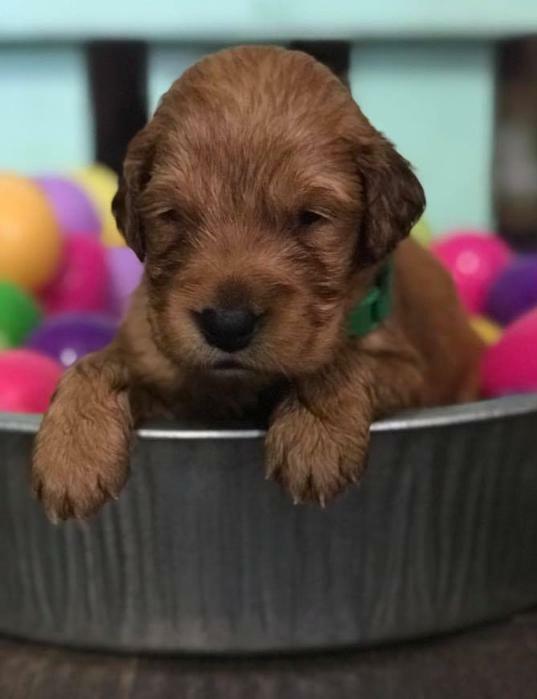 Their pups will go home close to June 17th. 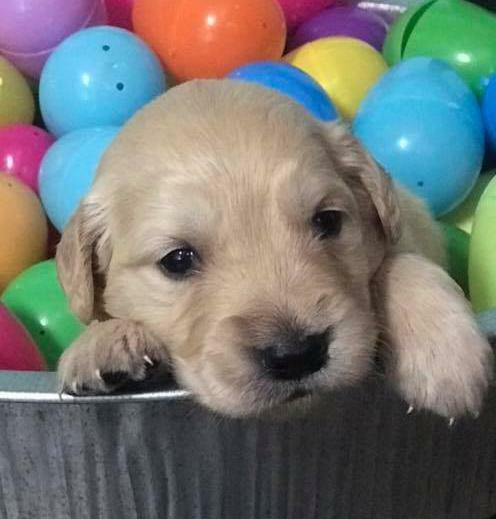 Their pups will be light golden to golden and anticipated to fulfill any of your dreams of a pet/hunter. Henry is one of a kind to us. He hunts everything, and is a loyal boy that is quirky with a sense of attitude that is so enjoyable. He has an exceptional attitude of working. He is an excellent product of a Field Golden lines. 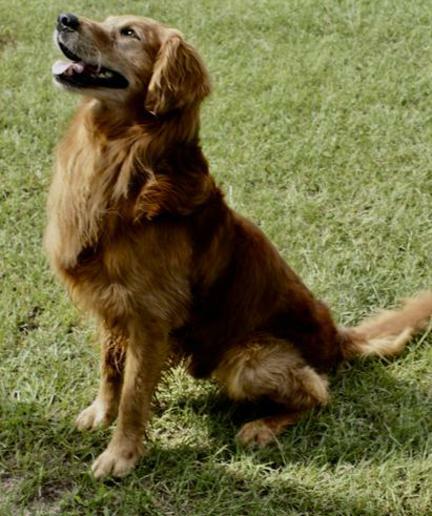 His pedigree is jam packed with goldens that are Field goldens/MH and Golden Retriever Hall of Fame dogs. His dad was a Master Hunter and his mom a Senior Hunter as well. Henry does have is own SHR, JH, and HR title already. He has all of his OFA clearances. Juliet is a very good girl. She is such a loving and gentle girl that she is absolutely the BEST girl. 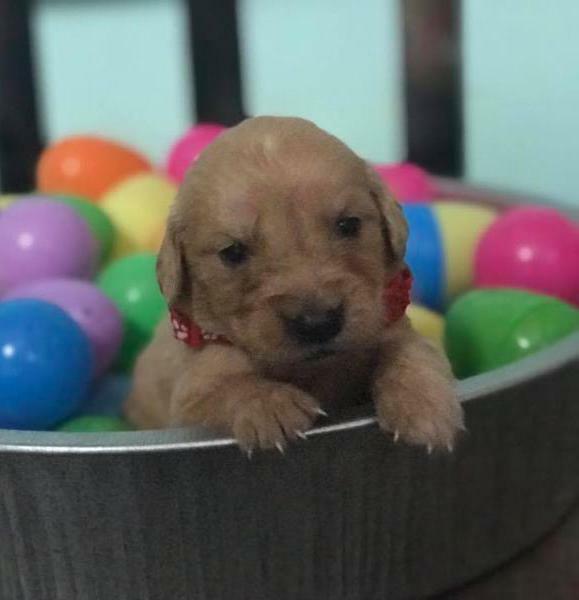 She belongs to a friend breeder (golden miracles.net) and comes from show stock, and are beautiful long coated Goldens. She does have all of her OFA clearances as well. If you're looking to get on their list by paying a deposit, let me know! Deposits are $300 and the remaining balance ($900) is due at or before pick-up! Pups will have dewclaws removed and come utd on all wormings and their 6 wk shots!